An interesting take on the government shutdown. But Stossel notes that the main reason food is safe isn’t government. It’s competition. Companies worry about their reputation. Just ask Chipotle, Stossel says. Their stock fell by more than half after food poisoning incidents at their stores; since then they have instituted far more food inspection than government requires. Most food producers already do that. Beef carcasses undergo hot steam rinses, and microbiological testing goes well beyond what government requires. Market competition protects us better than rule-bound government bureaucrats. Even airport security. TSA workers aren’t getting paid. But some airports (San Francisco, Orlando, Kansas City, and 19 others) privatized security. Those workers are still getting paid. They also do a better job. A leaked TSA study found that the private security agents, in test runs, are much better at detecting weapons in bags than the TSA. A congressional report found they are also faster at processing passengers. We are somewhat conflicted on the shutdown. We think that the shutdown is a political football with workers and families in the middle. That’s never a good thing. We are also against the idea that after the shutdown ends, that furloughed workers will be paid for the time they missed – time in which no work was done. 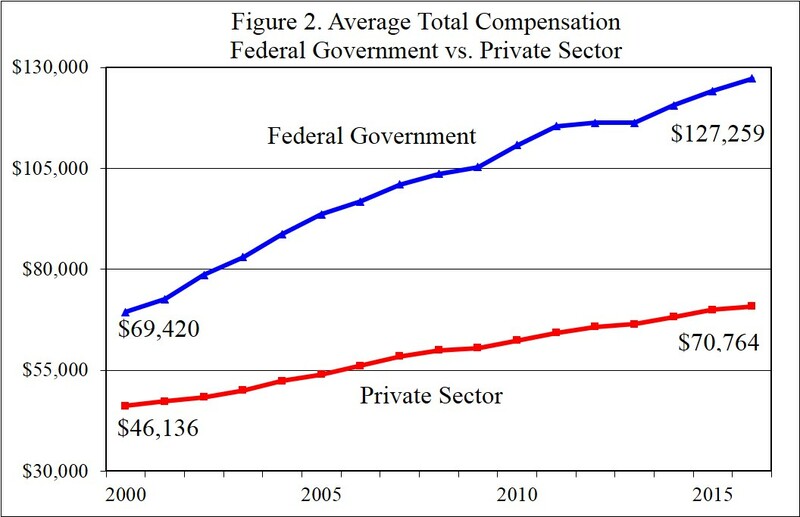 With the release of every new study  examining federal employee compensation comes different numbers and familiar arguments. The argument for the disparity is that the government should have the best workers and that means paying them. That’s a fair point (although if you have ever tried to contact a federal agency, it is hard to imagine the person on the other end being stellar in their field.) It is also hard to imagine that Nancy Pelosi, Chuck Schumer and Donald Trump, (who are at the center of the shutdown controversy) as being stellar employees in the private sector. So if we are paying for the “best people,” why does the disparity gap shrink with more education? Perhaps after the shutdown, we should look at the need for certain agencies and trim employees at the federal level. At least that would be a start in trimming the budget and the budget deficit. We all know that isn’t going to happen. Government workers are a voting block, often in two ways. 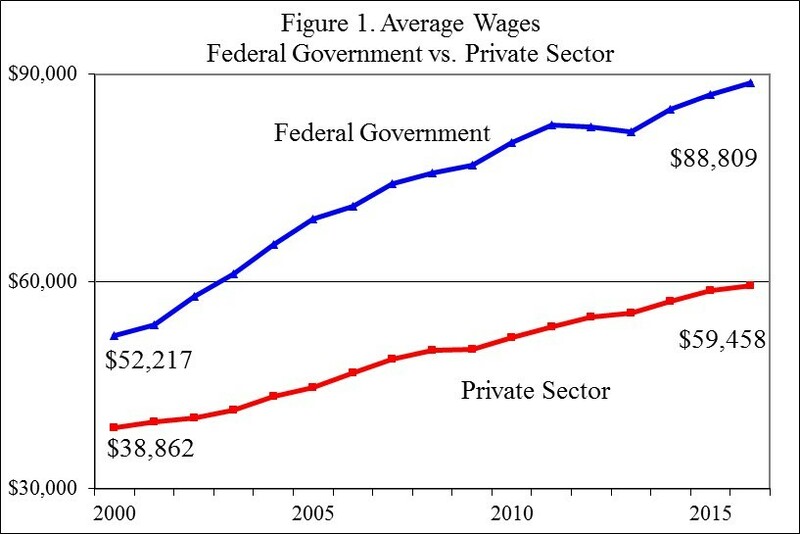 One is as a block of government workers and secondly, fully one-third of all federal workers are unionized. There aren’t too many politicians who want to go against unions. It is almost as if politicians are willing to use tax dollars to placate and buy workers’ votes. We are highly sympathetic to the government workers who have been furloughed. We really are. We just feel that the shutdown is a chance – an opportunity – to look at government workers, compensation and need for those workers. It is a chance to lessen the burden on the American taxpayer. Looking at the issues is a smart thing to do.